If you’re trying to buy Bitcoin for the first time, or are simply trying to find a new best method to do so, LocalBitcoins is an option that you should consider. LocalBitcoins has been around since 2012, but even though that’s an extended lifetime in the world of crypto, it remains relevant and unequaled within its niche. 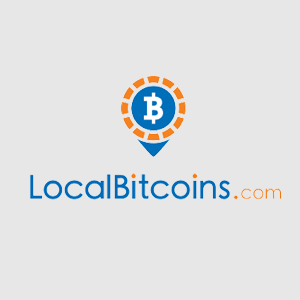 LocalBitcoins, as the name suggests, is about trading Bitcoins locally. There are a number of reasons why you might wish to do this, and no other significant cryptocurrency exchange makes this possible. However, you’ve got to make sure you understand LocalBitcoins before making a purchase, because these are digital coins being sold in the physical world. Properly prepared you should be able to transact without incident or fraud. For the purposes of this LocalBitcoins review, we’ll explain how to use LocalBitcoins, as well as go over eToro, a much simpler Bitcoin option for people who don’t need the specialized service that LocalBitcoins provides. LocalBitcoins is a decentralized Bitcoin exchange with a presence in tens of thousands of cities and towns around the globe. Founded in 2012, LocalBitcoins has the ongoing ambition to have a presence in every place human civilization exists, and with such momentum they might very well achieve this goal. Basically, LocalBitcoins is the Craigslist of Bitcoin. If you’ve ever bought anything on Craigslist, you know how convenient it can be to find what you need, show up at the appointed place & time, and give cash for the goods. You’ll also know that Craigslist encounters can be sketchy and flakey – and frankly dangerous in some situations. This is where LocalBitcoins raises the bar over Craigslist. Instead of letting these purchases be a free-for-all, they institute reviews and escrow services that give buyers and sellers the information they need to make safe transactions with honest individuals. So, yes, you’ll be showing up in a parking lot somewhere, handing cash over to someone in exchange for Bitcoin keys. But with LocalBitcoins, you’ll be able to know that the person you’re interacting with has dozens of great reviews, and has been a positive player in the LocalBitcoin ecosystem for months or years. Not all LocalBitcoins sales are made in person. Many sellers will sell you Bitcoin directly to your LocalBitcoins wallet, and plenty of users use LB this way without venturing outside of their homes. Why Would Someone Use LocalBitcoins? The “local” aspect of LocalBitcoins tends to confuse new users. Isn’t Bitcoin digital? Why are we trading currency at a local McDonalds when Coinbase will let you buy on your computer with a credit card? Turns out, there might be a great many reasons. LocalBitcoins is perhaps the best way to buy Bitcoin anonymously. We won’t get into all of the reasons, legal and not-so-much, why anonymity might be desired when buying Bitcoin, but it’s not hard to imagine how useful this option is. Being able to exchange currency without a digital record is an interesting ability to have in 2018, and its one which LocalBitcoins performs deftly. LocalBitcoins is also a convenient way to buy Bitcoin if you have a lot of cash. Usually, cash-holders would have to deposit the cash, link a bank account to a Bitcoin exchange, initiate a purchase, and wait for a few days for the order to be completed. With LocalBitcoins, you can take the tips you earned last week at your serving job, run down to the local ALDI, and buy Bitcoin from the guy with the 5 star reviews. It’s just a much easier process. We won’t explore every reason that you might have to use LocalBitcoins, but there are dozens, and people of all ages, income levels, and backgrounds use it every day. That’s the key to LocalBitcoin’s ongoing success. There always comes good with the bad. LocalBitcoins is a great service for people who want to buy Bitcoin locally, but it’s pretty much useless for any other purpose. If you want to buy Bitcoin without putting pants on, there are much better ways, and eToro is probably the best for beginners who want to get in on Bitcoin fast, without having to learn the ropes through trial and error. eToro is not a standard Bitcoin exchange. In fact, it’s not a true exchange at all. etoro sells CFDs, or Contracts For Difference, which let users make and lose money with Bitcoin, but without having to actually own it and keep track of it. Think of LocalBitcoin as one extreme on the Bitcoin Ownership Difficulty scale. eToro is on the other extreme (it’s easy). With eToro, you’ll “buy” as much Bitcoin as you want, with all the profit and loss potential of a standard trade. But instead of having to move Bitcoin to a wallet and hope no one hacks you (or wait in a parking lot for a stranger to sell it to you), you’ll just make a contract with eToro to receive or give money in proportion to Bitcoin’s value change, during the duration of your contract. eToro is easy to try, with an incredibly simple interface. It’s as easy to sign up with as Facebook, and it now includes many popular cryptocurrencies (like NEO, Ethereum, and EOS), rather than the standard Bitcoin. You can only buy Bitcoin with LocalBitcoins, but you can get a lot more stuff on a single platform with eToro. If by now you’ve decided you want to buy Bitcoin in meatspace, let’s take a deeper look at how to use LocalBitcoins. Again, this is the only cryptocurrency exchange that requires you to wear pants for the full experience, so make sure you’ve done your laundry. Let’s jump right in. In keeping with their devotion to user privacy, LocalBitcoins lets you sign up quick without asking for an official ID. There aren’t many other crypto exchanges which will allow you to trade that way. Consequently, signup with LocalBitcoins takes just a few minutes and requires only a working email. Go to the site and you’ll see the screen above. Type in the information and move into the platform itself. Once inside the platform itself, you’ll be able to search for sellers that are in your area. You’ll be able to choose your payment method as well. As is usually the case with platforms like this (including Craigslist), you’ll have more options the larger the city in which you live. If you live in the East or Southern hemisphere, it’s also possible that you’ll live in a large city without a large Bitcoin/cryptocurrency culture. But generally, you’ll have at least a few options almost anywhere you live. Look around for trustworthy sellers. You’ll be able to make this determination by reading user feedback and looking at the ratings associated with sellers. Good sellers will have many good feedback reviews, preferably dozens or hundreds. The more quality users who are available to you, the better options you’ll have, and the best prices you’ll be able to choose from. Don’t fall for scammers who offer low prices but don’t have the feedback to back it up. Trying to buy from these could put you in a vulnerable situation. Once you’ve found someone you wish to buy from, send a business request to the seller. You’ll be able to set up everything to do with your transaction, including pricing, payment options, and meeting place. Don’t converse outside of LocalBitcoins as you will miss out on LB’s security features, and don’t give the seller personal information unless you are very experienced and have a good reason to do so. Not all LocalBitcoins transactions are completed in person. If you are completing yours through the platform, the rest should be easy. Confirm the payment option you’ve chosen. Your money will be held in escrow within LocalBitcoins until your Bitcoin has arrived, in which case you can complete the transaction. If anything fishy happens, you can dispute the transaction. What Payment Options Can I Use With LocalBitcoins? LocalBitcoins makes a number of trusted payment options accessible, so you’ll always be able to find something that works for you. Some of these payment options are more anonymous than others, so make sure to research that if this is the reason you’re using LocalBitcoins. Cash (the most anonymous! ), Paypal, bank wire transfer, Western Union (ironic to buy Bitcoin with WU, but we understand there are reasons), mailing cash, WebMoney. Because LocalBitcoins stands for freedom, it is less regulated than many other exchanges. As such, there are scammers and criminals who use the platform, and you should know how to stay safe from them. Don’t do business with anyone who demands personal information, who asks you to transact through unusual channels, who wants you to communicate off the platform, or who gives you a bad feeling in general. If you’re meeting in person, make sure you’re doing it on your own terms in a place you feel safe. Never be careless when making large purchases, especially with cash. LocalBitcoins charges a flat 1% fee on transactions made through the platform. This is higher than the 0.25% or less charged by many other exchanges, but it’s less than the whopping 3.99% charged US customers by Coinbase. Of course, LocalBitcoins prices tend to be much higher than market prices, so this is an added cost though it is not a formal fee. As an update to this review, we’re sorry to say that LocalBitcoins now requires KYC (Know Your Customer), where users have to identify themselves. It makes sense that LocalBitcoins would be forced to make this move, as regulations and government attention has increased in recent months. LocalBitcoins still has its perks, but this removes one of the major use cases of using the site. Paxful and LocalBitcoins work much the same way, but Paxful still enables ID-free buying when using cash and gift cards as payment – a perk now absent from LocalBitcoins. Paxful is not as well known and trusted as LocalBitcoins, but as far as we know it is a great service as well. LocalBitcoins is one of the most classic ways to buy Bitcoin. Historically, this has been a way to buy Bitcoin without leaving a record on an exchange like Coinbase, which might be subpoenaed by the US government (which ended up happening). For the longest time, you didn’t have to include an ID to use LocalBitcoins, but this changed recently, and LocalBitcoins now requires KYC, where users must identify themselves so that LocalBitcoins can stay on the right side of the law re: government regulations and anti-fraud legislation. This doesn’t mean that LocalBitcoins is dead. It’s still a great way to buy Bitcoins locally, especially if you like to make these transactions in the flesh. What’s more, users can retain some anonymity if they’re willing to use cash in person or mail it. For these users, there’s no better way to meet locals and arrange local delivery than on LocalBitcoins. When using LocalBitcoins make sure to be aware of the platform’s unique features and culture. There will always be scammers on LocalBitcoins ready to take advantage of naive new users. But if you’re careful and use common sense you should stay clear of them. Used correctly, LocalBitcoins can be the most convenient way for many to buy the world’s most valuable cryptocurrency, and we think it’s going to stick around for many years to come. Try LocalBitcoins for yourself and get involved with the Bitcoin community in your area.